Although many businesses are transitioning to digital media and content for marketing to and communicating with customers, paper is still used in everyday operations. Whether it is in the field of education, health care, finance or another sector, most corporations require the exchange of materials that contain sensitive data and information, such as payment receipts, insurance forms and personal identification details. Without these documents, organizations wouldn't be able to complete service transactions. 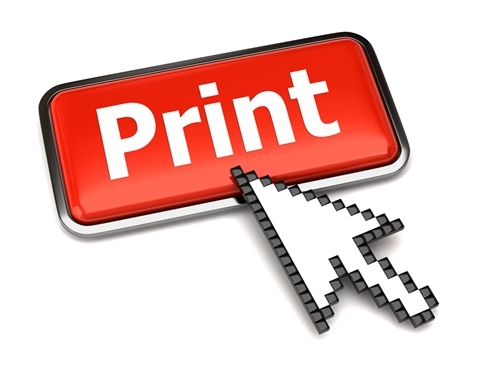 Therefore, print distributors play a key role in the success of companies today. In fact, according to the Print Services and Distribution Association, "
[a] recent research study showed that distributors control 71 percent of the market for forms, labels, checks, direct mail and other business printing." The paper industry may be less crowded than it once was, but that means print providers must implement innovative strategies that maximize their appeal to audiences. In this digitalized world, the companies that succeed are those that stay informed on emerging trends and quickly adapt to shifts in the market. For example, with security being such a hot topic in the media, it is highly recommended that businesses use products that have advanced protection features embedded in them. However, choosing a printing company shouldn't just be based on the types of products it offers; it should also be about the quality of service provided. And when it comes to distributors, success hinges on the ability to make timely deliveries, access pertinent data and insight and efficiently manage inventory levels. Patience levels are not as high as they once were; the digital revolution has raised the bar of consumer expectations by enhancing the availability of information, products and services. Technology has streamlined many functions and enabled businesses to perform faster and more efficiently. Companies must adopt modern strategies and solutions that will help meet the growing demands of customers. One sector that has greatly benefited from the use of artificial intelligence is warehousing and distribution. Automated systems are becoming a staple in workflow production. And while it is widely understood that paper documents are here to stay, inventory and order fulfillment processes do not need to be handled in this format. Using an integrative, Web-based platform can help print distributors significantly improve their bottom lines in the same way it helps other organizations increase connectivity and accessibility for both internal and external communications. Furthermore, i2i Logistics pointed out that electronic warehousing and online order management portals offer a distinct set of advantages over traditional systems. Increased productivity and accuracy. When digital software is used in distribution centers, there is less room for mistakes. As the source pointed out, "[e]rrors in receiving, stocking, picking and shipping are common in manual paper-based warehouses. The impact of each error is magnified because correcting errors is not real-time." In addition, eWarehousing solutions can help increase productivity by having computers complete tasks faster than humans would and improving accuracy of inventory levels. More control. Customers that partner with print distributors that use online portals will be able to create new inventory release and receiving orders and streamline pick and pack operations, as well as pallet and box shipping. They will also be able to check the status of an order and organize lists by functions, such as by shipment numbers or individual jobs. Enhanced insight. Print distributors will be able to enhance customer service by responding to and resolving any disruptions or threats as they occur. Real-time reporting and online shipment tracking features enable users to improve end-to-end visibility and transparency along all phases of production. A company is only as valuable as its customers are satisfied. Businesses rely on print distributors to provide them with timely, quality and affordable services. To exceed customers' expectations and maintain a competitive presence in the market, printing service providers must utilize the cutting-edge innovative tools, software and solutions available to them. By partnering with a third-party organization that specializes in online warehousing and order management systems, providers can help reduce business costs, improve customer service and enhance overall success.